Presentation of the company Selerys. who are we ? Selerys specialist in the anticipation of stormy phenomena. SELERYS designs and markets smart solutions to anticipate weather risks. A true decision aid, SKYDETECT ™ detects storm cells at risk. The detection is done well before their precipitation (lightning, heavy rainfall, hail) and allows its users to act with better anticipation. In France many areas are already covered in the Drôme, Bouches du Rhône, Côtes du Rhône, Gard, Picardy, Burgundy or Corsica. The solutions developed by Selerys are used in 7 countries in Europe and Asia Minor (Spain, Belgium, Poland, Ukraine, Armenia, Turkey). And this in different sectors: at large arboriculturists, winemakers and serristes, as well as in the automotive sector. 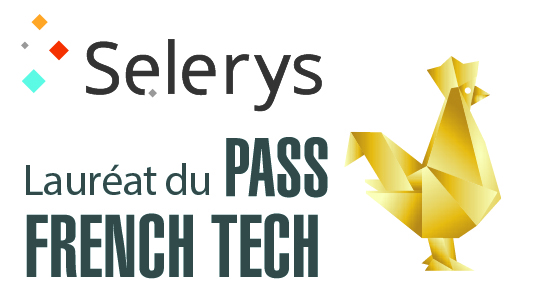 Selerys has obtained the label Pass French Tech, for the 4th class 2017-2018. Discover the interview of Fabrice for a small presentation of the company.